PCB prototyping used to the nightmares of many electronics professionals. PCBWay.com now terminates the nightmares! We can get your first-try boards right in 24 hours! PCBWay supply the fast prototyping service with 24 hours(2 layers) /48 hours(4 layers).The gerber files uploading online will be inspected and checked that the files complies with our technical spec .Once the files pass audit,you can pay the cost online.And our engineer will check again and optimize the files to make production. Prototyping stage is the most critical period of time for engineers, students and hobbyists. PCBWay.com not only makes your boards quick, but also makes your job right as well as cost-effective. This greatly reduces your cost and shorten the time for developing your electronic products. 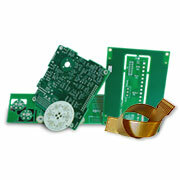 The economical solution for circuit board prototypes with 1, 2, 4, 6, 8 or 10 layers, and a small overall area. 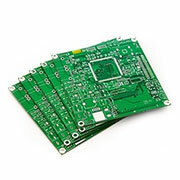 Our PCB Calculator always shows the best price and production time. Use our industry-leading online quotation software to try the automatic pricing experience.No minimum quantity. You can get your prices instantly after your inputting a few parameters. Try now! · Base Material: High-Temp.Aluminum,FR4, Flex,Flex-rigid, HDI, Rogers, etc. We have been providing PCB Manufacture since 2003 in China. We believe our team will provide high quality and low cost service for you. To make PCB, PCBWay has the experience and clients are satisfied with our products. If you need, please go to homepage of PCB Instant Quote menu to quote; please contact us for more information about PCB prototype.